94 Pts. The palate shows excellent focus, which delivers both power and richness whilst retaining a degree of elegance through the tannin and acid balance. Tightly coiled aromas of cassis, plum, and bramble with underlying notes of graphite and savory complexity. The palate shows excellent focus, which delivers both power and richness whilst retaining a degree of elegance through the tannin and acid balance. 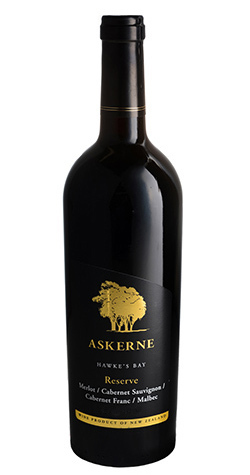 This wine was made from grapes grown on the stony, sandy lower terrace of the vineyard. The varietal mix was 42.8% Merlot, 28.6% Cabernet Franc, 14.3% Cabernet Sauvignon and 14.3% Malbec. It was destemmed and crushed, then macerated and fermented in tanks. The wine was aged for 18 months in French oak barriques, 50 % new and the balance one year and older.